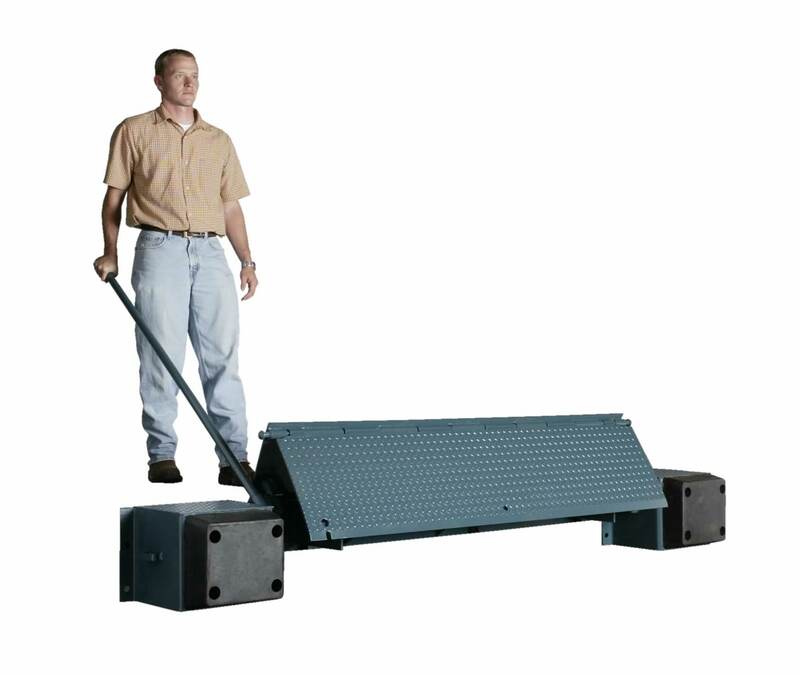 “MEDLF” SERIES MECHANICAL EDGE OF DOCK LIFT FREE LEVELER | Dock Door Systems Inc. The “MEDLF” Series are low cost units meant for a captive fleet of trucks with a similar bed height. They normally mount to the face of the dock and can be placed in a small recessed pit. This is a light duty low cost alternative to the in pit style full size dock leveler. Also used when a pit cannot be utilized or as a retrofit. The “MEDLF” Series is typically used in an environment with minimal difference between trailer bed and dock and the unit is typically mounted to the dock face. Operation is a two step process with a “lift free” handle to place the unit in the trailer. They come with bumper block assemblies and are available in 66”, 72”, 78” and 84” standard operable widths. Capacities available are 20K, 25K, 30K and 35K CIR (Comparative Industry Rating).